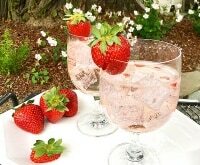 Ok, so here’s the deal: Cocktail-friendly plants can be grown in your garden, and with backyard entertaining just a few months ahead of us, this is the time of year to take full advantage of that bounty. 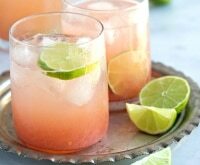 If you’re still in the planning stages of your garden, there are a plethora of plants and herbs to consider in your planting plan to bring that garden freshness right into your summer cocktails! Doesn’t this make gardening seem all the more exciting? 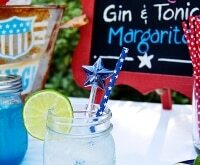 You can venture into your garden and encounter a seasonal array of cocktail mixers and garnishes to create a whole new farm-to-glass revolution of your own right in your backyard. There are lots of herbs — think basil and mint — that go beyond simple salad enhancers and add a whole new level to your cocktail. Flowers such as a simple sprig of lavender can elevate your garnish game. Then you have the wonderful world of citrus with lemons, limes, grapefruits, and oranges. The possibilities are endless! 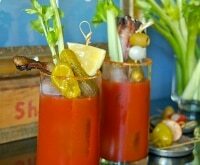 And let’s not forget vegetables — they’re right there just waiting to be infused or muddled as the star attraction of your next cocktail party. So where to start? 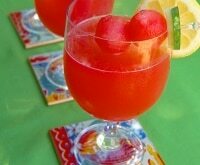 I’ve got a delicious cocktail that comes straight out of the garden to get you headed in the right direction. 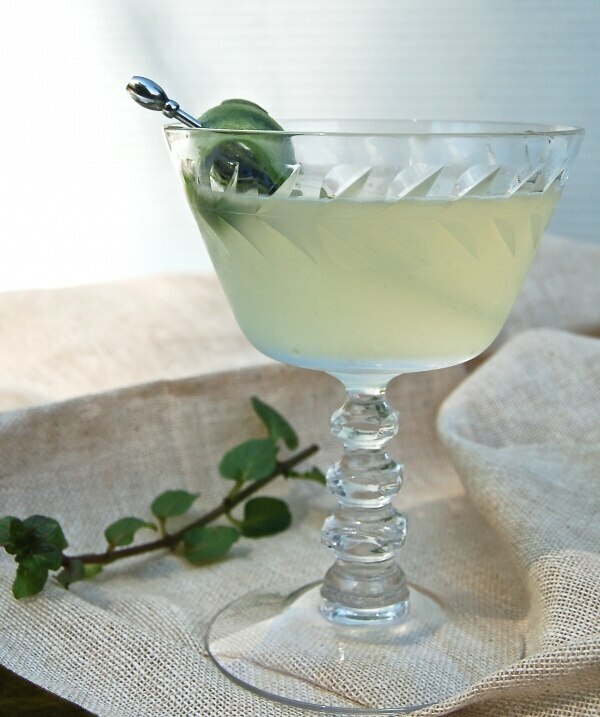 The balance and garden power of this cucumber cocktail comes from the refreshing flavor of cucumbers, the delicate and oh-so-delicious floral sweetness of St. Germain (made from Elderflowers), and fresh lime juice. Muddle in aromatic spearmint and add botanical-rich gin as your base spirit and you’re on your way to garden-fresh greatness. It’s true, this cocktail includes a vegetable, an herb, a flower-based liquor, and citrus, so it’s pretty much the ultimate garden cocktail, wouldn’t you say? While you may not have the exact ingredients growing quite yet, get those seed packets ready because after one sip of this libation you’re going to want these ingredients at your fingertips all summer long! Getting your garden ready for growing season can be a lot of work, but it doesn’t have to take a lot of money! Find out how to keep your garden happy and save money at the same time. Outside of planting a lime tree (which I highly recommend — I love my Tahitian lime tree! 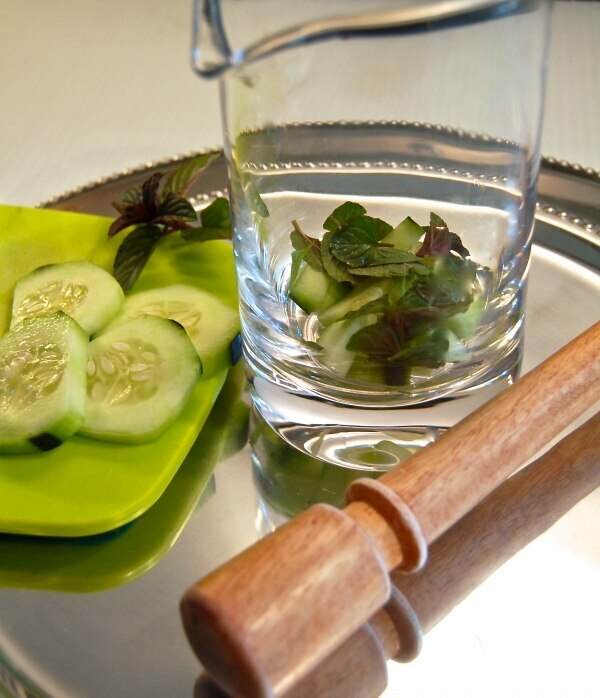 ), there are two plants for you to add to your garden this summer to fuel making this cocktail all season: Cucumber and spearmint. Few foods are as cool as a cucumber. These low-calorie veggies contain many nutritional benefits, including hydrating properties and valuable nutrients. Cucumbers are a great addition to your garden and belong to the same botanical family as melons (including watermelon and cantaloupe). 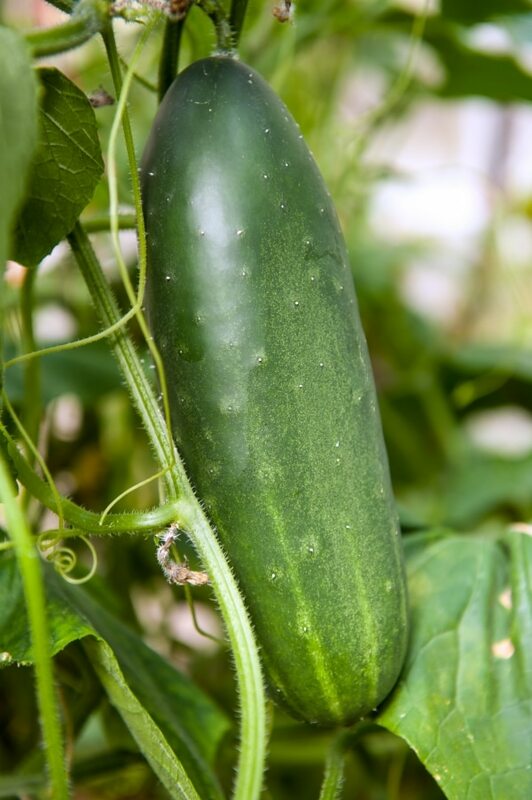 In order to get your garden ready for this cocktail, make sure you’re planting slicing cucumbers vs. pickling cucumbers, which are generally smaller and have thinner skins. 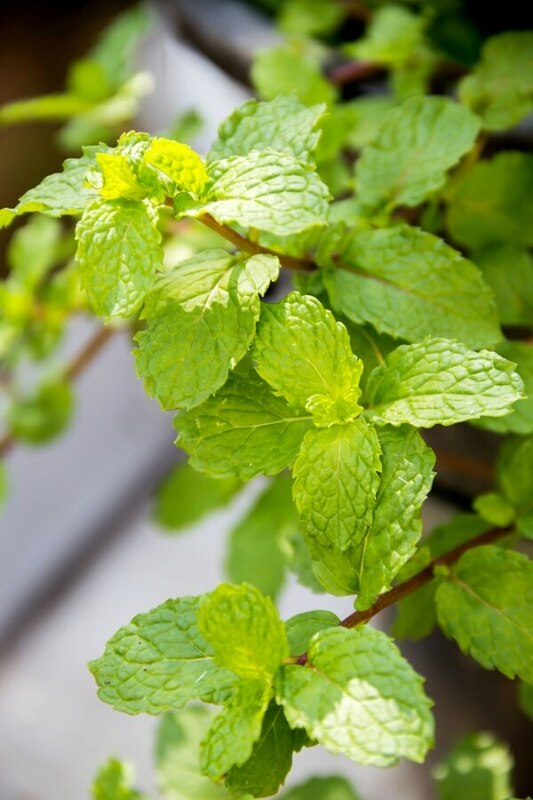 Spearmint is a pleasantly aromatic herb packed with numerous health benefiting vitamins, antioxidants, and phyto-nutrients. Often overlooked due to its more famous garden cousin mint, spearmint brings a subtle hint of flavor to cocktails where mint packs a real punch. Give this herb a try and you’ll be thrilled with the results. I know there are many of you out there who thought, “Oh no, it’s made with gin? I don’t like gin!” Well, it’s time you gave gin a chance. From a garden freshness standpoint, you can’t get a spirit any closer to the delicious herbs of our world than with gin. While the origins of the clear liquor are often questioned, someone most likely in Holland or Belgium began to infuse alcohol with juniper berries and a variety of other botanicals way back in the Middle Ages. (Think of this spirit as the first flavored vodka!) Gin is still made this way today and each brand has its own recipe and techniques for infusion. While all gin has some juniper flavor, the other botanicals highlighted in gins today can include a wide array of herbs, vegetables, flowers, fruits, spices, and even tea. So please check out the wide flavor range of gins available now at shops like BevMo and give gin a chance to blow you away with it’s refreshing and summer-sunshine-and-herbs-in-a-glass flavor. 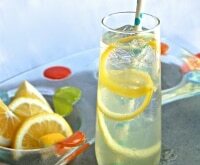 Before you search for the perfect gin at BevMo, be sure to check for BevMo coupons! National Geographic’s list of the Top Ten Most Beautiful Gardens named the Royal Botanic Gardens at Kew as number two in the list. With over 326 acres and 100 world-class attractions created over the past 250 years, what’s not to love about Kew Gardens in Surrey, England? And since it’s Great Britain who singlehandedly made gin famous over the years with their world-class London Dry Gin, I thought it only fitting to give a shout out to our gin-imbibing partners across the pond. 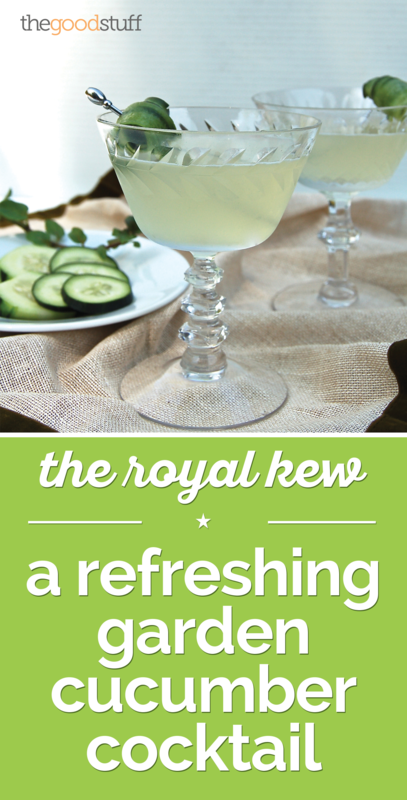 In a mixing glass, add cucumber, mint and St. Germain. Using your muddler, gently massage the cucumber and mint — you aren’t trying to pulverize them, you’re muddling to extract juice from the cucumbers and essential oils from spearmint leaves. 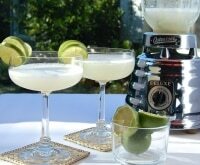 Add gin and lime juice into a cocktail shaker, then add in muddled ingredients from the mixing glass. Add ice and shake vigorously. 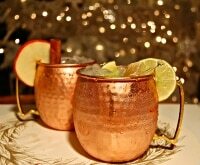 Using metal mesh strainer, double strain into chilled coupe and garnish with cucumber. 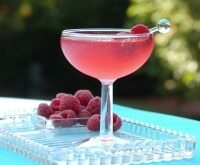 For a look back at other cocktails that can utilize the herbs, fruits, and flowers from your garden (or local farmers market), take a peek at a few of my other garden-fresh recipes. As if you weren’t excited enough to get started gardening! 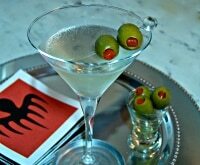 Lavender Lemon Drop Martini: Add a little lavender to a classic. 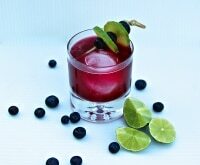 Blueberry Basil Cocktails: These two cocktails use basil and fresh blueberries to get you started on a cocktail journey you won’t regret. 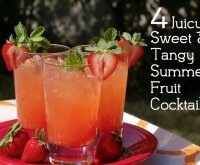 Backyard Mojo: I created this version to celebrate the minty goodness of a mojito and added strawberries and lemons for a new twist on a classic.